The wrestling ref who's threatening a lawsuit over the viral dreadlock-cutting incident is "blatantly racist" and has NO CASE ... so says Lil Jon ... who tells TMZ Sports the guy's claims are ridiculous. High schooler Andrew Johnson -- who is black -- was forced to either cut his dreadlocks or forfeit during a December 2018 match. The story made international news .... and the ref was accused of being racist. As we previously reported ... the ref, Alan Maloney, is claiming he's been defamed in the coverage following this ... and he's demanding $100,000 in damages. 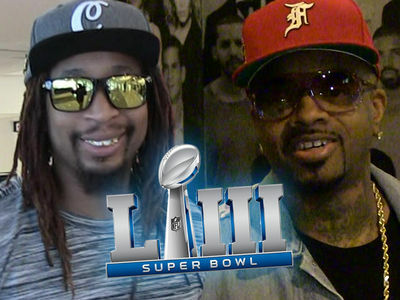 Enter Lil Jon -- who has famously shown off his dreads throughout his career -- and he explains why Maloney's actions were inexcusable. "Dreads are considered to be like a man's crown, that's a lion's mane ... it's sacred," Jon says. "For this guy to be blatantly racist as he was on that one and to claim he can't get work or whatever, well ... too bad, you shouldn't have been an a**hole." Maloney says he was strictly following the rules that prohibited wrestlers from having long hair ... but many people have called it a bogus excuse to cover up racism. Lil Jon agrees with them. "That was just so blatantly, super racist, it's just ridiculous "